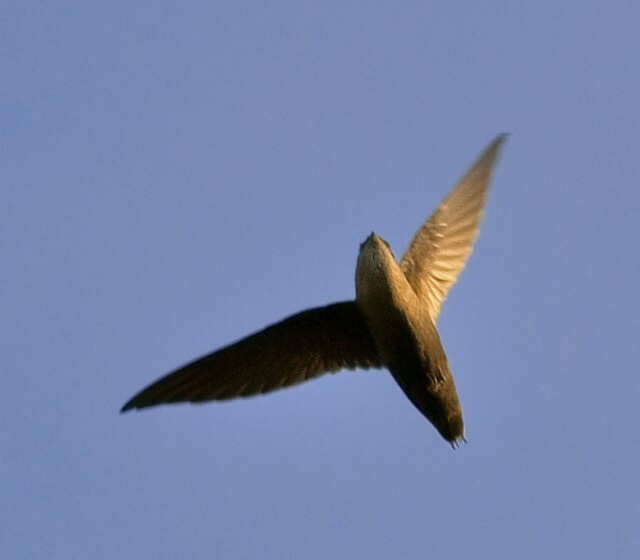 The chimney swift used to build nests in hollow trees and possibly caves but now it often makes its home in chimneys. Only one pair of swifts will nest in a chimney at one time. The species’ main food source is flying insects; it can eat more than 1,000 per day. Pairs mate for life and often return to the same nest year after year. BirdLife International and NatureServe (2014) Bird Species Distribution Maps of the World. 2014. The IUCN Red List of Threatened Species. Version 2014.3. iucnredlist.org. Downloaded on 28 November 2014.